The Developer Toolkit for Microsoft Dynamics CRM 2013 and Microsoft Dynamics CRM Online is included in the SDK package at SDK\Tools\DeveloperToolkit. The Developer Toolkit supports creation and deployment of plug-ins, custom workflow assemblies, XAML workflows and web resources. Easily generate strongly typed proxy classes without having to run CrmSvcUtil.exe. Get access to entity and option set definitions within Visual Studio. Generate plug-in code so you can immediately begin to write code for business logic. Edit and register plug-ins without using the Plug-in registration tool. Create new web resources or extract existing web resources, add them to your solution, edit them, and deploy changes all within Visual Studio. 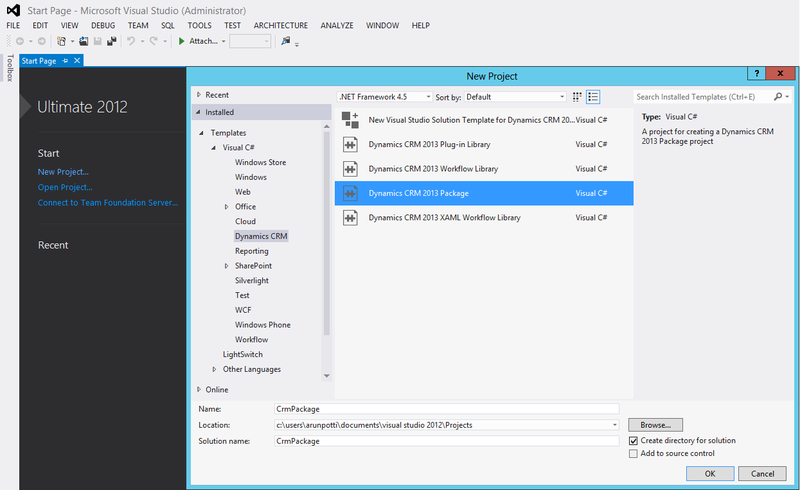 Create and edit workflow and dialog processes from within Visual Studio. 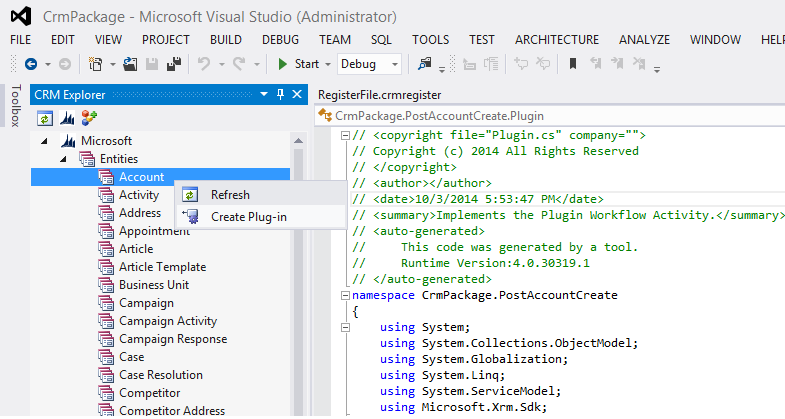 Create and deploy XAML workflows in Visual Studio. 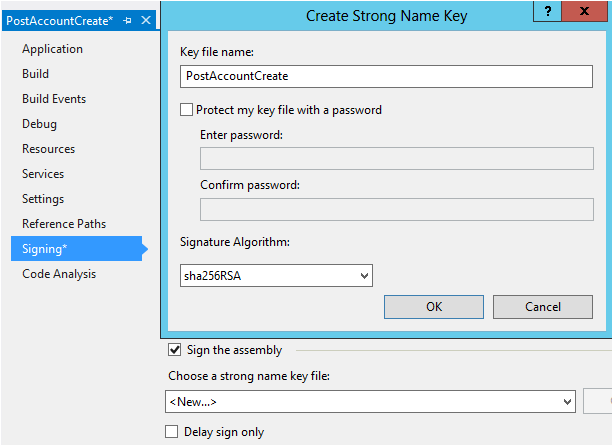 Get easy access to security role and field security profile information in Visual Studio. Step 1: Open SDK or if you don’t have SDK, download Latest SDK from internet. Step 3: Close Visual Studio before installation process begins. 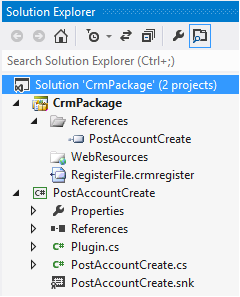 Step 4: Double click on CrmDeveloperToolsVS12_Installer to install it on your machine. 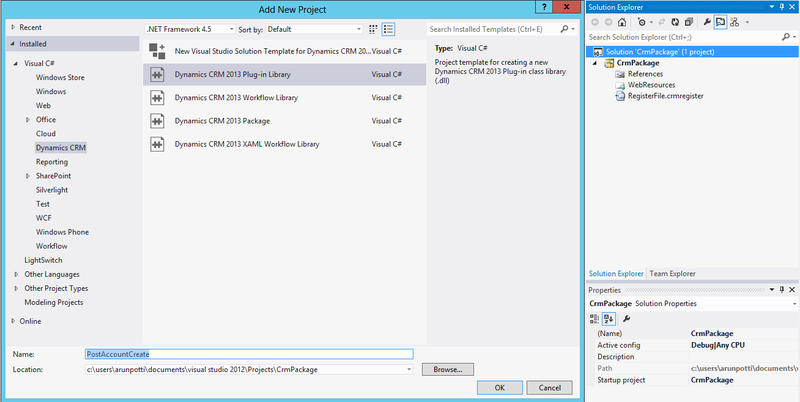 In the Dynamics CRM node, you have the project template options shown in the following table. 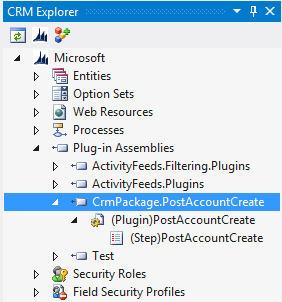 In your new solution, the CrmPackage project is a manifest project that contains all assets to be deployed to Microsoft Dynamics CRM combined with their deployment settings. By default, the outputs from each other project are added as references to this project in so that they can be deployed to the server. You can add components to the package by adding projects as a reference or by adding components under the WebResources folder. 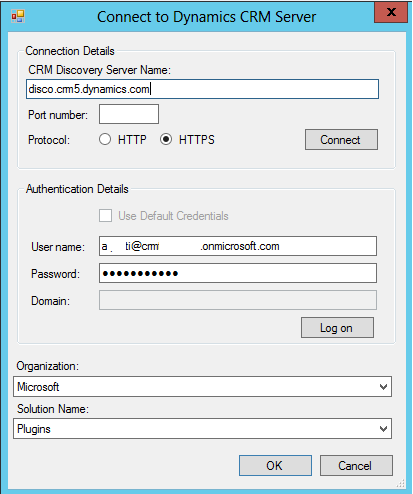 The RegisterFile.crmregister contains registration information for plug-ins and custom workflows created by the toolkit. 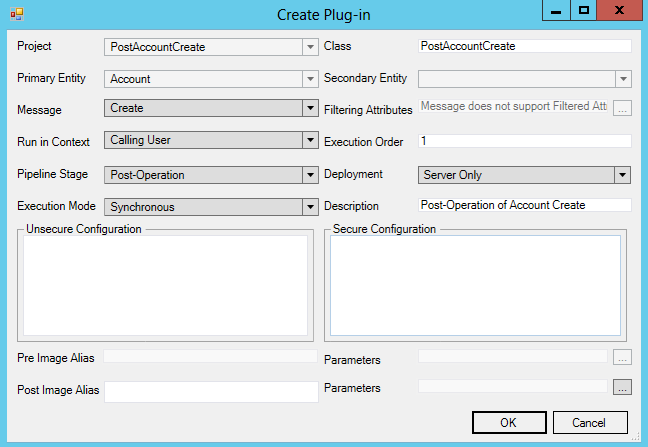 Deploy your solution to the server by right-clicking CrmPackage and then clicking Deploy. 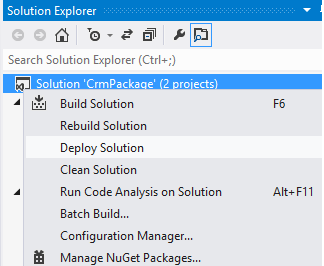 You can also deploy the Solution or the CrmPackage from the Build menu. Download the latest SDK 2013 and extract the file to the Desktop.